This week on Middle Theory, we kick things off by remembering that most famous ancient Chinese curse (which may or may not actually be an authentic, ancient Chinese curse, but nonetheless… ). Our discussion moves from talk of Oliver Stone’s recent series of interviews with Russian leader Vladimir Putin, to government surveillance, domestic spying, and the “War on Terror”. We also highlight a piece of “secret audio” produced by Alex Jones of InfoWars, who secretly recorded calls he had with Megyn Kelly… the latter of whom is in the midst of losing sponsors due to fallout after the announcement of the interview. The focus of our discussion, however, is on the shooting incident involving members of Congress at a Washington baseball field earlier this week, where a disgruntled Bernie Sanders supporter took lethal action against a member of Congress and several staffers. 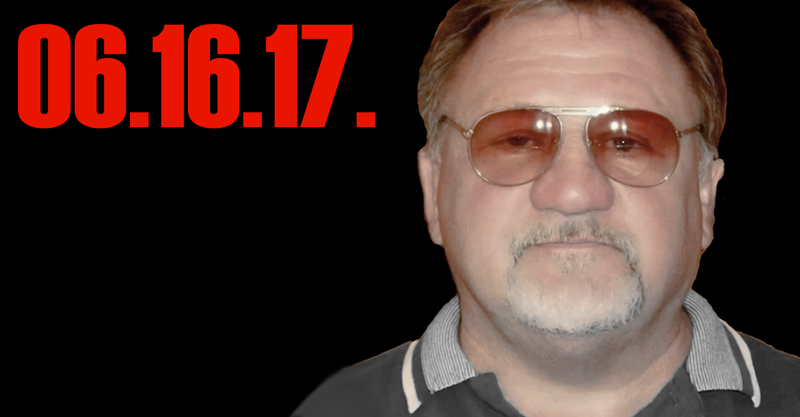 Fortunately no one was killed, except from the shooter himself, James Hodgkinson. What do we learn from a terrible incident like this, and how does media spin and “contrived controversy” in American politics contribute to these problems? Steve Scalise shooting: Is liberal-conservative vitriol to blame? This entry was posted in Podcasts and tagged Alex Jones, Donald Trump, James Comey, Julian Assange, Megyn Kelly, Oliver Stone, Vladimir Putin, Washington shooting by Micah Hanks. Bookmark the permalink. This latest mass shooting incident, resulting from the social blunder of consumer firearms, highlights how horrible an America would appear if taken to the illogical, conservative extreme. To wit: the only way to stop a bad guy with a gun is a baseball player with a gun, glove (or bat), ball, cleats, and a hat. But even that is no guarantee of safety. Criminals will always have the element of surprise, because they don’t engage in fair fights. Is this really how conservatives imagine America should be: everyone open carrying to prevent others who are open carrying from being too much of a threat? It makes us a grotesque semblance of a free society, one deeply paralyzed by fear and paranoia. American sheriffs of the past have already realized the resulting social dysfunction of superfluous guns. Many banned guns in their towns to keep the peace; not just the physical peace, but the emotional peace of a space where the threat of asymmetrical violence is minimized. Guns don’t make us Americans; moms, apple pie, baseball, and podcasts do. Dear Middle theory I will now require one lock of hair from each of you to place on the great effigy “America” so we can all be great Americans by participating in one great big voodoo doll. Am I the only person who realizes or at least has thought about the fact that our psychology tries to attribute to the weak ego what the great philosophers already pointed out are products and symptoms of democracy? People do not, lie/white lie, con people, act like a phony, sell out, because of ego problems they do it because that is the way a #$%% democracy works. When you can’t be real or yourself, side with logic, or bring up reality over ideology and make believe human convention, these are all products of democracy as pointed out by philosophers like Socrates and Plato as well as the pander, empty promises and slime that people complain about in politics every day. Is it weak ego people are full of crap or is it democracy requires one to be full of crap to play a game? If you want to take Freud the con man over Socrates, Plato, and Aristotle congratulations Democratic pre pubelicans. The story of the third party is a modern day Phaedo. You idiots kill reality with your idealisms over and over with your democratic pandering vote choosing accepted horse dung over real substance. Read Socrates, Plato, Aristotle, and you will notice something. these great thinkers had already proven the symptoms of weak ego are the required functioning for a normal person in a democracy. @Uriah. In Freud’s system of superego stacked on ego stacked on id, the point about a weak ego being the prerequisite for the superego is merely tautological. No superego is required if the id, and the ego’s social expression of the id, served social purposes. The superego (e.g. law) is the social superorder that keeps all existing egos and ids in balance to achieve social goals. Without the superego, human society devolves back into the jungle from whence the id emerged. Next → Next post: 06.23.17. Philando Castile: Justice Served?